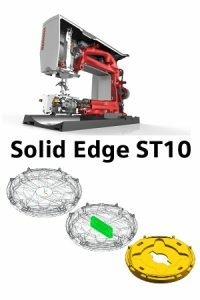 The ST10 software is a high-performance hybrid CAD system which addresses all aspects of the product development process and brings the latest “Next Generation” design technologies, by adding Reverse Design, Generative design and Simulation modules together with CAD design system. Special Shining 3D scanner bundles with Siemens Solid Edge ST10 Classic software coming soon for the following EinScan models: SP, Pro, and Pro+. Pricing and Availability to be announced soon. For more information, see this Software Demo PDF or contact us.